We have always been so curious about life in a motorhome, especially when we drove past one on the road. We see it on TV and books, but never the experience. Last weekend, together with Bel and vonne's families, we finally explored and spent a mini fraction of our lives in a RV (Recreational Vehicle). It was truly enriching and exciting for a 3 days, 2 nights 'camp out'. Js love this unusual trip too. They have been talking days about it. It was a vacation that's so distinct from the several we did. It was no hotel stay, and there were so much to pack and bring along. From the basics to bedsheets and kitchen wares. Challenging but exciting to me. We planned to whip up meals, instead of the convenient, frozen way out. We decided to make life a little better by using the toilet for light businesses, even though the purging of waste wasn't a tough or yucky process. The kids and Daddies showered in the rather cramped bathroom, while the Mummies accessed the public bathroom in the RV park. 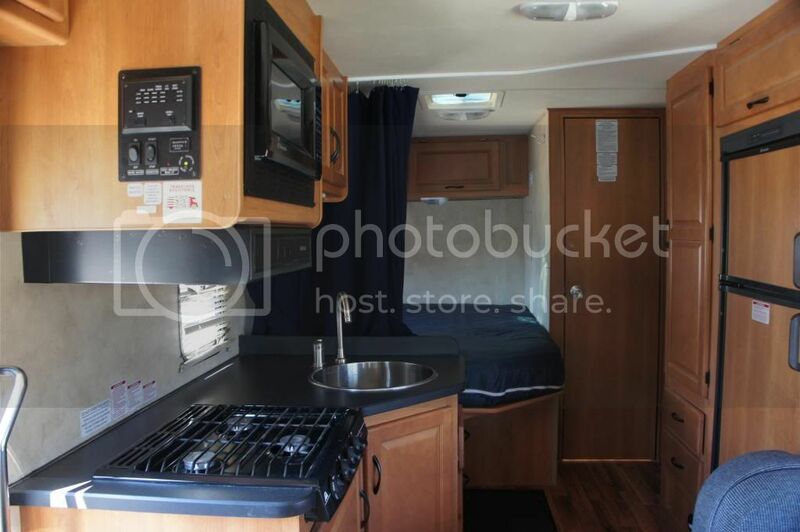 The standard RV we rented, came equipped with kitchen, microwave, bathroom, 3 beds (good for 5), fridge and table. All good enough to make living comfortable for days or to some, for years. 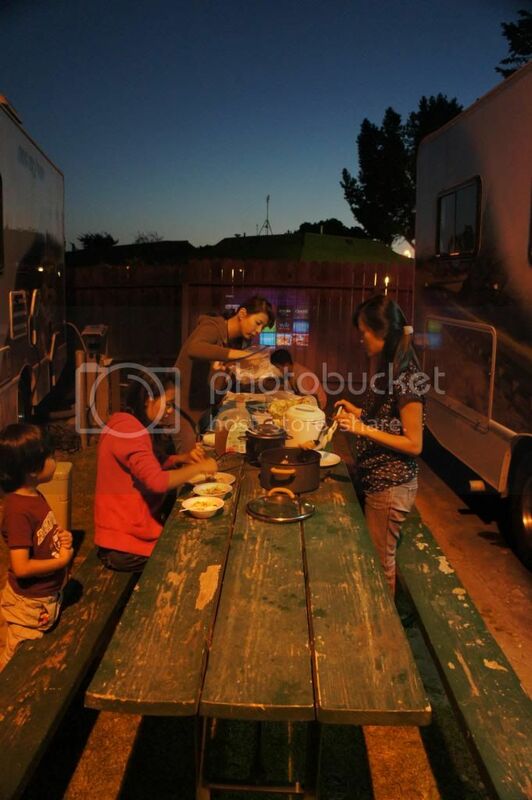 We rented parking space in a RV park, at Pismo Beach, to rest our 'home'. During the day, we drove out to some nearby places, the Morro Rock beach and caught sight of elephant seals, at another beach. Didn't realised we could do so much with a bulky vehicle. Delightful meals were made possible. Mummies are excellent food providers with just the basics of a kitchen. Cooking schedule definitely gets better with each family preparing only 1 or 2 dishes. Team work maximizes efficiency. While the adults took the table bench, the little ones had an extraordinary privilege to dine with their favourite cartoon, on a picnic mat. Daddy C brought his projector along! Nice! Our day didn't end after a gathered dinner. 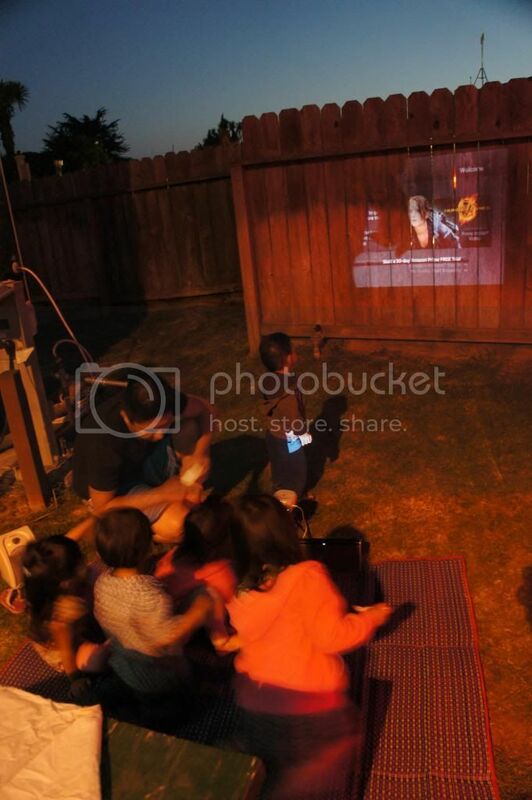 Daddies and Mummies re-convened for movie, under the stars, after the kids slept. Where we had so much fun and laughter over adult conversations and food. I gladly conclude that RV stays are of better fun with a bunch of friends and kids. We had an awesome time of fellowship with our family and friends, as well as a good set of RV experience to keep. Highly recommend! RV need any special driving license? Apparently, the one we rented is ok with our car license. We presented our Cali license though. It's fun! You gotta try.